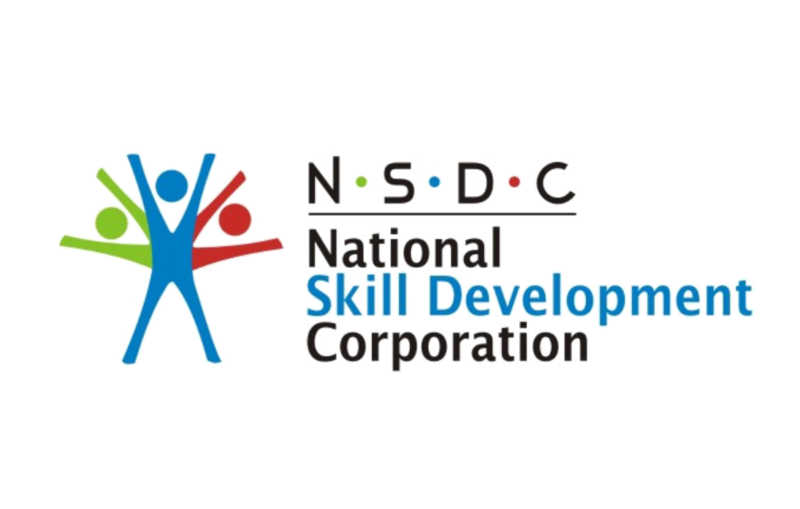 Rebirth Education & Research Foundation is accreditated Training Provider of NSDC for opening up Training Centers under Prime Minister Shri Narendra Modi’s ambitious project PMKVY 2.0 under Skill India scheme. This project has total outlay of Rs. 32000 crore which has been earmarked to impart vocational skills to the unemployed youth of the country and provide them with meaningful employment. During the next 3 years (2016-2020) total funds of Rs. 12000 crore will be spent on training of around 1 crore youth in the age group of 18 to 35 years under the PMKVY scheme for the period 2016 to 2020. 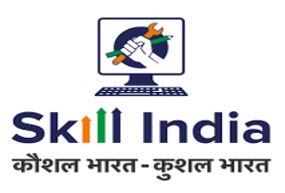 Rebirth Education & Research Foundation invites applications for establishment of “Training center” for various skill development projects such as, PMKVY, PMKK DDUGKY, MANAS, NDLM etc. Applicants have to apply in a prescribed format and they shall have to pay the application fee, as fixed by the “Accreditation and Affiliation committee” of NSDC for PMKVY. Individual, self aided/ self-financed institutions of higher and secondary education, registered societies, trusts, companies, etc., having the arrangement of competent counselors, basic infrastructure for class-rooms, laboratories, library, etc. may apply. The experience of operating the teaching institutions or programmes of study shall be preferred. HOW TO APPLY FOR PMKVY TRAINING CENTER. Minimum 1500+ Sq ft carpet area including office, classroom, lab( Computer and equipment), wash-rooms etc. Building should well Plastered, Color Distempered/Whitewashed. Classroom & Lab for Each Courses (Area of Classroom & Size varies,). Internet Connectivity min 1 MBPS or, 3G/4G. At least 10 Computers or, Laptops. Qualification : Min. Graduate/ Diploma. Experience : Min 2-3 years. At least 3 Computers with, Laser Printer, Broadband Internet, Web Cam, Wi-Fi Network and Scanning for day to day office work. The entry points with display of the signboard. Minimum of 1500 sq. ft. (For PMKVY/NSDC) covered area or more depending upon the program(s) being. Sufficient open space (owned or long lease) is essential for an study Center. Minimum area of 10 sq. ft. per student for classroom & Lab. Essential infrastructure like Reception Desk, Coordinator Room, Computer-room, UPS (power back up), 1 MBPS/3G/4G Broadband Internet Connection. Teaching-Aids, Furniture, Fixtures and other equipments as per the need of the course(s). (Photographs are to be submitted along with INFORMATION CENTRE Registration Form separately). A minimum 0f 10 reference books per course on the selected job role. Documents required (Any one) . Rent Agreement or,Certificate of Incorporation or, Telephone bill or, Electricity Bill in the name of Training center. The PMKVY Targets may be allocated to the TC for a period of 6 or 12 months on the basis of the grading of centres; the capacity of centres with a provision for periodic review (Compliance and Performance) as per the Monitoring Guidelines of PMKVY. NSDC proposes the below methodology for allocating the targets to various TCs/ approved (or yet to be approved) under PMKVY 2016-20. 2. Shortlisting of centres: TCs approved by SSCs on SDMS would be eligible to receive the targets; TCs will be shortlisted to ensure sector and geographical coverage; Usable area greater than 1500 is mandatory. 4. Targets to be estimated by NSDC PMU basis centre capacity and to be allocated directly to the centres through SDMS. 1. Centre accreditation and affiliation agency to share approved job role-wise requested capacity v/s actual capacity available for all the approved centers. 2. New targets to be allocated in the ﬁrst half of the month on SDMS only to the affiliated and accredited TCs (exceptions in special areas or underserved geographies). 3. Centers accredited and affiliated within the ﬁrst fortnight (15 days) of the quarter will be accounted in the same quarter, else in the subsequent quarter. 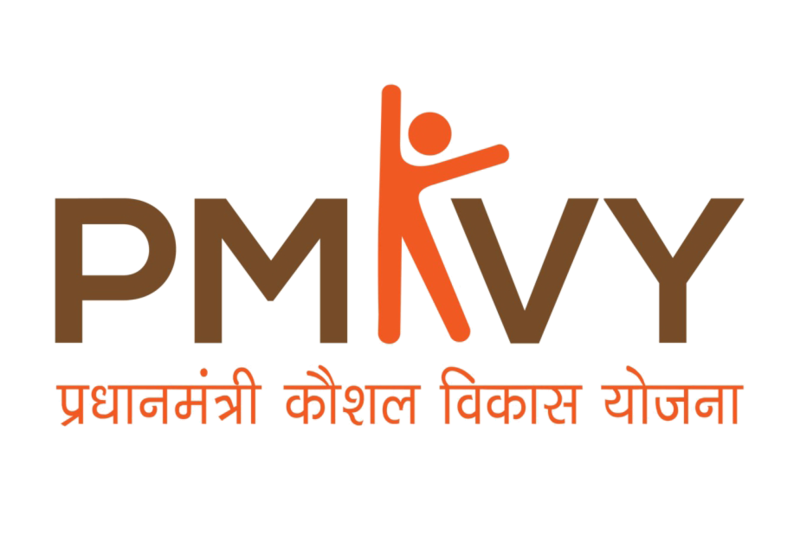 STEP by STEP Guide : How to apply for PMKVY ?. 2) Franchise MOU to be executed with us afresh. After that, Rebirth Educaiton & Research Foundation (Parent Organization) shall verify and create Username and password for center enrollment. You need to log-in via that Username and password at NSDC portal to apply for Center. 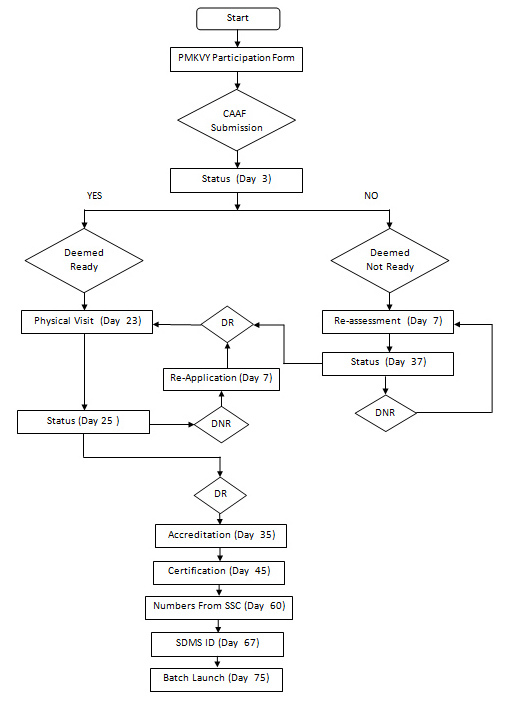 Now fill entire details in CAAF Form and save it. You need to pay desire amount mentioned below.